Made from FSC oak, useful pot tampers enable you to quickly and easily firm compost in pots and seed trays, providing an even surface for sowing. 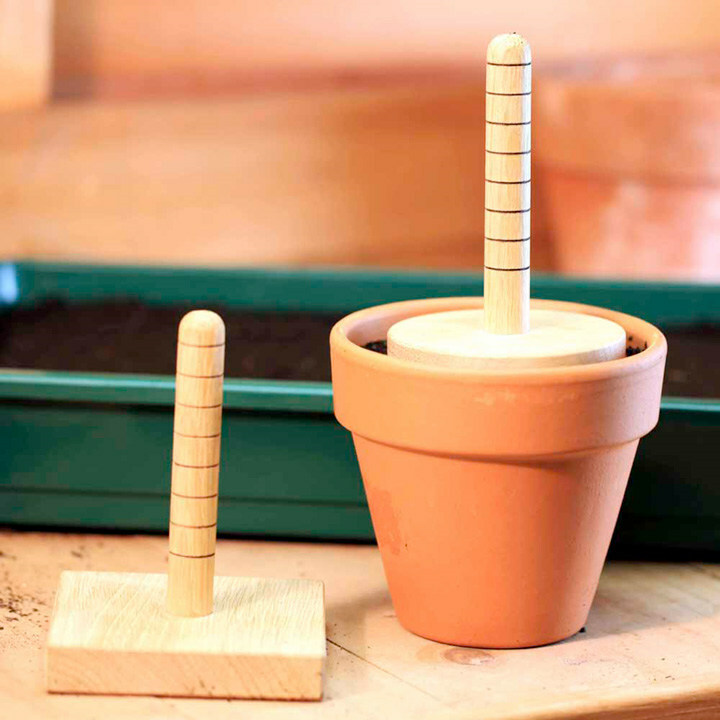 Once the compost is ready, turn the tamper upside down and the 10cm (4") calibrated handle becomes a useful dibber. A practical addition to any gardener's kit! Square Pot Tamper 9cm (3½") square.